On Monday, Americans paused to honor the life of Reverend Martin Luther King Jr. His legacy was forged in the most turbulent of times. In the face of racial inequality and injustice, Rev. 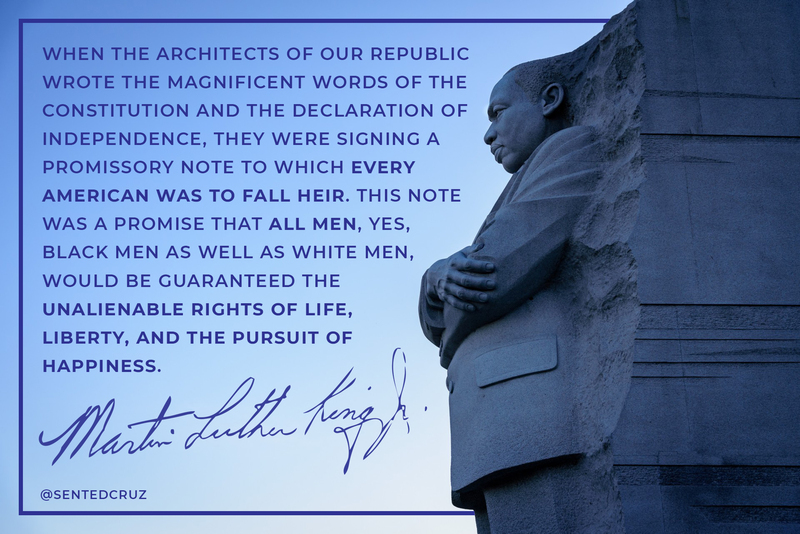 King devoted his life to preaching a gospel of hope and love, freedom and equality for all mankind. As we honored the life of Rev. 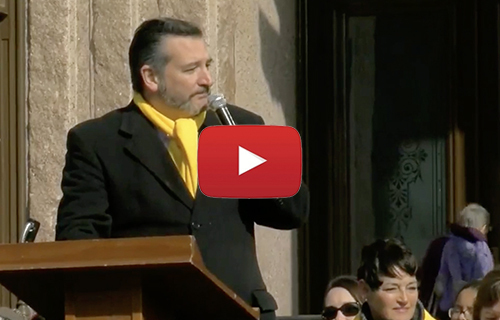 King, it is fitting that at our great state’s capitol, Texans from every background gathered together for the 2019 Texas School Choice Week rally. I was proud to participate and will continue fighting for school choice. I believe school choice is the civil rights issue of the 21st century and every single child in the state of Texas – regardless of ethnicity, zip code, or income - deserves access to an excellent education. This week, the Trump administration quickly and decisively recognized Juan Guaidó as the interim president of Venezuela. The Venezuelan people have been fighting for years to be free from the brutal and thuggish rule of Nicolas Maduro and his cronies, who have impoverished the country and shredded its social fabric. As a member of the Senate Committee on Foreign Relations, I will continue to urge my colleagues and the administration to facilitate the long-overdue transition to legitimate rule in Venezuela. I am glad the Schumer shutdown is over. I am glad federal workers will finally be paid. For weeks, Democrats held their paychecks hostage. Thursday, I fought hard to immediately pay every single essential federal employee - every essential employee at the Coast Guard, the TSA, air traffic controllers, Border Patrol agents, ICE agents, FBI agents, and those throughout law enforcement. Chuck Schumer and the Democrats cynically objected to that legislation and killed it on the Senate floor. The Democrats have claimed that, once the shutdown ends, they are willing to negotiate in good faith to secure the border. Given their behavior, there is considerable reason to be skeptical of their claim. But, now, we will see if they actually meant what they said. The media will obsess over the short-term political fight. But what matters is enacting real solutions to the real problems of this country. 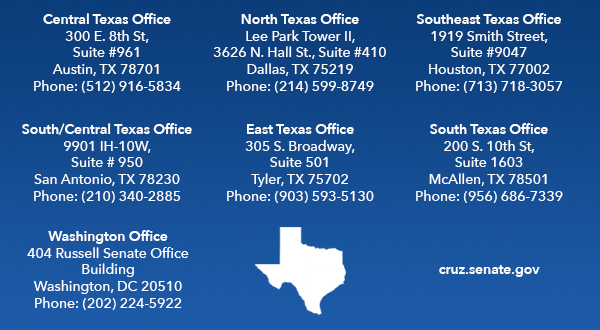 We have a crisis at our border, one that Texas experiences first-hand. We need real border security, including physical barriers to stop drug traffickers and human traffickers. I will continue to lead the fight to secure the border and get the job done. We must keep our word to the American people. Perhaps the Democrats will end their partisan obstruction, set aside their hatred of the president, and agree to a reasonable compromise to actually secure the border. I hope so. If not - if Democrats continue to embrace open borders at the expense of the American people - then Friday's actions have made it all but inevitable that the president will declare a national emergency and deploy the funds and manpower necessary to build a steel barrier at high-traffic locations on the border.